SMS marketing is a very popular mean of marketing in the Middle Eastern Countries like Qatar, UAE, Dubai, Kuwait etc. People all around the world has become tech savvy and mobile phone or rather a smart phone. It has become a common gadget for everyone and the middle eastern countries. The countries claim to have the highest number of smart phone buyers so it’s an important platform that they have is to do marketing via SMS. Bulk SMS Service, in the field of marketing, works as a platform through which people receive promotional offers and transactional information. Promotional message services are very important feature of business marketing. Where there are platforms such as TV advertising, Newspaper, Video ads acquire more audience but too costly in Middle Eastern Countries. Hence SMS marketing in Qatar, UAE, Kuwait, Saudi Arabia said to be the most influential and affordable Marketing Strategy. It targets the interested audience rather than addressing all. 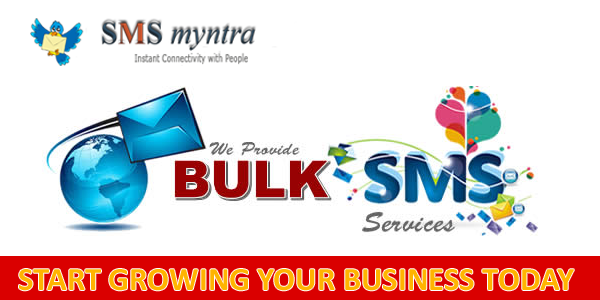 Why Bulk SMS for Marketing? Through marketing not only the way the audience gets to know the product, also they can also have a customer feedback. Through the feedback, a marketer can get an idea of renovating product or services. It will create and maintain a healthy customer relationship. Bulk SMS marketing has all the option a marketer required. Vodafone, SMS Myntra, Nexma API are among the popular name of Bulk SMS companies in Qatar who looks after the SMS marketing section. One can bring up their business in a broader section through online facilities. SMS gateway provider in Qatar can help the marketer to inform their customer, a monetary transaction or getting a product to an original buyer. They look after that the process goes on Hassel free for both the buyer and seller. Bulk SMS service in UAE helps to come in contact with the potential buyer and may also influence them by the service to buy a product like this. Hence there are huge practice and scope to market your product in Dubai or UAE through SMS marketing in Dubai. Not only the business get all the benefit. Also, the audience is getting benefitted from it and it is much cost effective than that of other marketing options. Look after the customer you already have been responsible for their need, treat them the better customer service. One should always look for better business idea unique execution in a business. One should also have a future knowledge about future trends and be a trend setter rather than a trend follower. Industries such as media, tour, and travel, health care, IT sectors, transport, banking are deeply influenced by bulk SMS marketing even e-commerce and real estate business is looking forward to SMS marketing. Very Very Good Article. Keep it up. Impressive difficulties the following. My business is quite fulfilled to see your post bulk sms vendors. Thanks a lot and I’m awaiting touching people. Can you nicely fall us a e-mail? This is very good way to promote our business, it directly reaches to targeted audience.